Small to moderately sized offices are generally easier to relocate than manufacturing and retail facilities with several detached buildings in the facility’s complex. 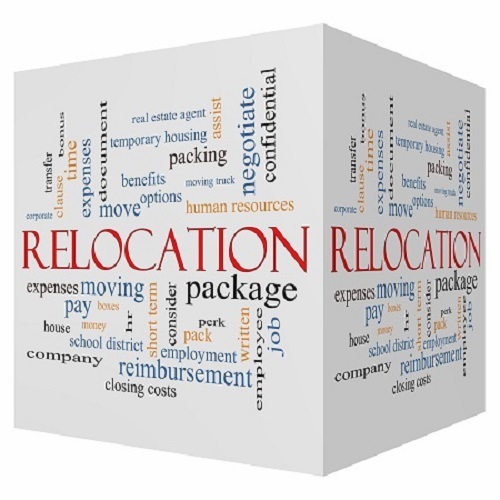 The legalities of relocation depend on the nature of the business. A chemical manufacturer may need additional time for relocation planning when moving out of state due to state-by-state environmental and OSHA regulations. A dental office would have far less relocation problems due to the simplicity of this type of business with limited legalities beyond office occupancy and use of aesthetics, where applicable. One legal issue to consider is that many communities into which a businesses may relocate view each new business on their tax rateable value, as well as community “friendly” the company is. Often, the value of the tax rateable to the town or city can mean approval of relocation or rejection. The choice of the city or town for relocation should be well thought out in the earliest planning stages. Zoning laws are part of legal issues companies planning to relocate must also consider, which differ on a state-by-state basis. Local municipalities may also have differing zoning maps and laws regarding business relocation. In addition to zoning regulations, some municipalities restrict the number of “similar” businesses. In this case it is advisable to study the zoning laws and municipal legal citations before committing to a business or office site. Businesses that require a high volume use of local utilities and natural resources often find legal restrictions delay their relocation plans. It’s also important to consider topographical infrastructure as part of relocation planning. Access roads for ingress and egress, as well as fire and emergency access should be discussed with the local municipality’s planning and zoning engineers. Volume of traffic and parking are issues municipalities consider before granting a business permit. It’s necessary to provide a specific plan for parking designations. If a business intends to use curb side or “on street parking,” the daily volume of vehicles should be included in the relocation plans submittal to the local municipal town or city council. Relocating to an existing office building also requires an overview of the size of each office within the completed building complex, as well as availability of utilities such as electricity for office equipment. With the advent of green energy, it may also be required that businesses produce their energy efficient plan for business operations to meet with state environmental codes and requirements. In existing building relocations, an increase in the number of office building occupants impacts the use of bathroom facilities, storage and lunchroom facilities. These issues are related to the hours of business operation and whether the business requires full-time or part-time employees. In some local municipalities, if there are more than fifteen full-time employees working 40-hour weeks in the business office or building, bathroom and lunchroom facilities are requirements the business owner is responsible to provide. This information is usually found in the city or town’s building code departments. Engaging a licensed commercial real estate or property manager, can reduce the expenditure of time to process many zoning, occupancy and facilities issues. Be aware that zoning boards in municipalities rarely rush through zoning permits and certificates of occupancy. It’s a good idea to allot at least three to six months if municipal permits are required. Most municipal zoning and building authorities meet only once a month which accounts for the lengthy time frame to complete permit approvals. If your company is looking to relocate to new office space Offices.net has an exceptional selection of serviced office suites to suit any size business across the country. This entry was posted on Monday, April 13th, 2015 at 12:33 pm	and is filed under Business Advice, Company Relocation, Office Organization. You can follow any responses to this entry through the RSS 2.0 feed. You can leave a response, or trackback from your own site.